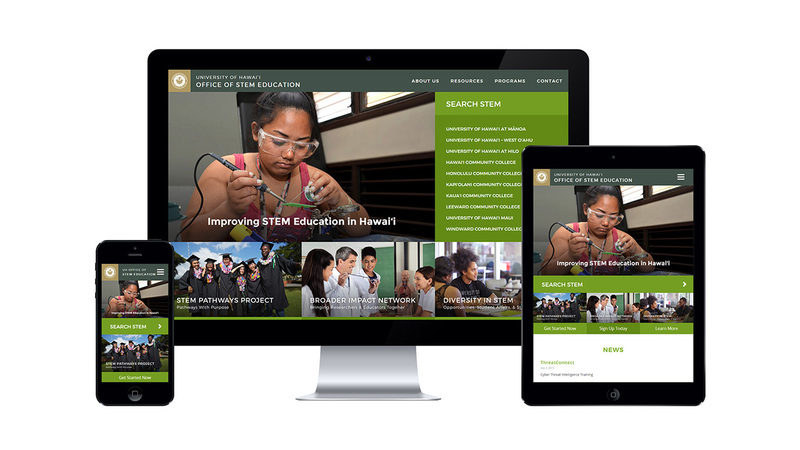 The University of Hawaii launched a new department for Science, Technology, Engineering and Math (STEM) education and needed a way to connect with key audiences and students. The new department believed that an engaging website would be the best way to connect and communicate the objectives and purpose of the department. We evaluated the information and resources provided by the client, and made an assessment of the key target audiences to determine the most appropriate user interface design and user experience design approach to the new web design. We then developed a clean user flow with an organized structure to provide easy access to the depth of resources and information on the site. 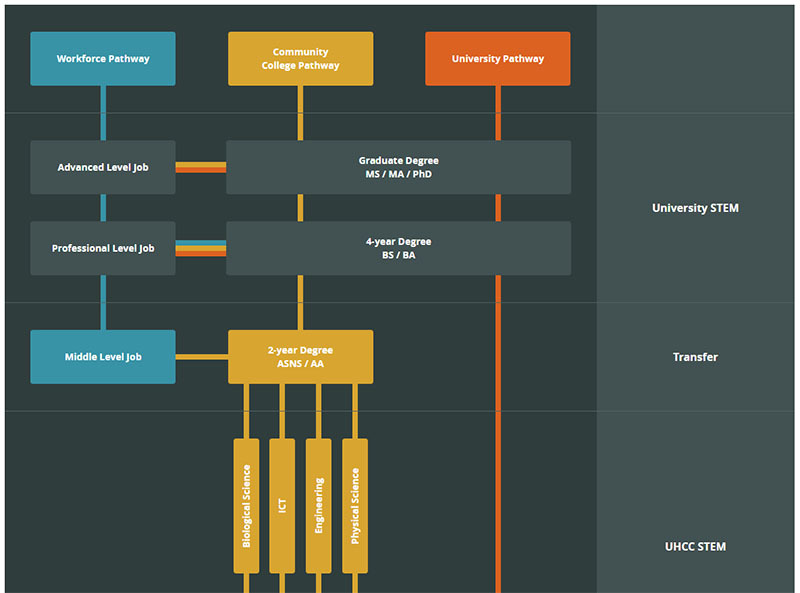 We also developed interactive tools to help communicate the education pathways available for students. The website has been a successful mechanism in providing target audiences with an easy, enjoyable way to access the information and depth of resources provided on the site. The web design has gained positive attention within the key audiences and has assisted in the successful launch of the new department.